We selected for you the products which in their domains of application acquired professional notoriety by their performances and their quality. By its knowledge and its means, SOFRATEST UT Applications Laboratory offers possibilities to realise varied feasibility studies of non destructive testing by ultrasounds. SOFRATEST Eddy Current Applications Laboratory offers possibilities to realise varied feasability studies of non destructive testing by Eddy Current.. SOFRATEST designs and produces its own Eddy Current system and Probe. 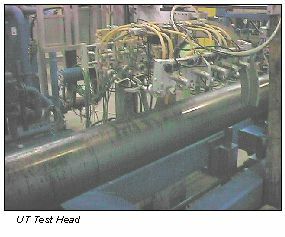 The hability of SOFRATEST to make NDT System is based on 15 years of automated inspection systems design in UT and EC field. All our equipement are PC based and use our PC cards families.We work in all sectors of manufacturing for a large variety of automated systems. If you have technical questions, need price information's , want to place an order or to know the contact with the Distributor in your country, please contact SOFRATEST head office directly.